1. 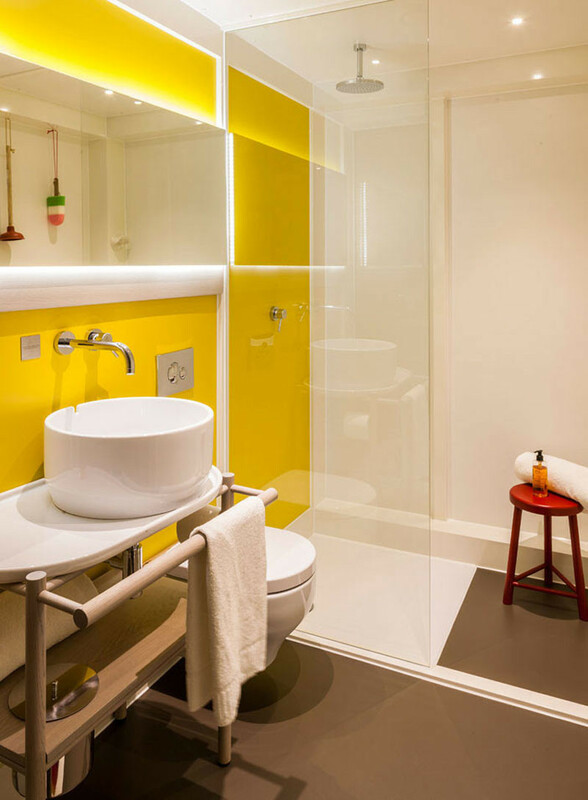 This bathroom has kept most of the space white, with only the bath surround painted yellow. Designed by lena Chernigina and Anton Bazaliysky. 2. 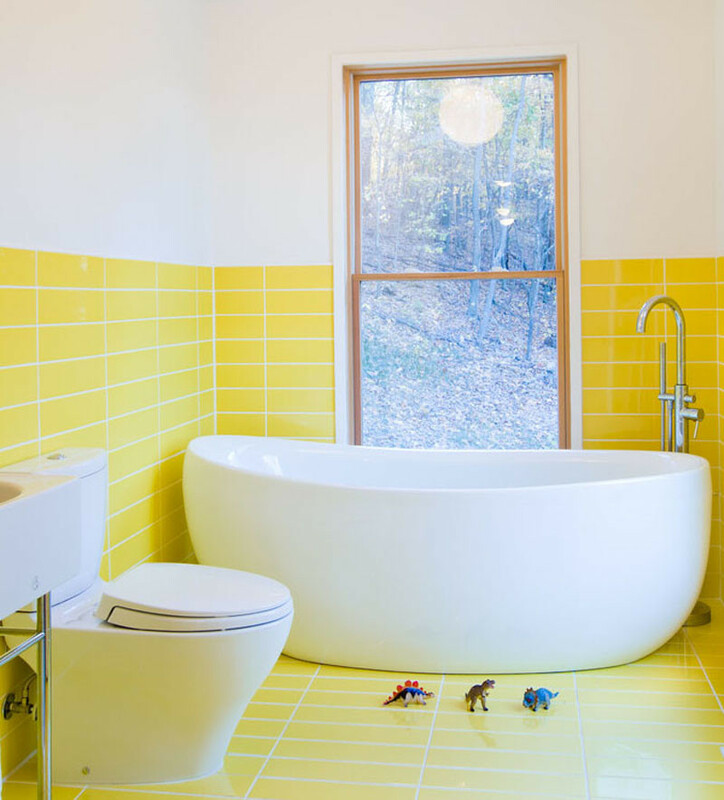 This bathroom has half of the wall and all of the floor tiled yellow. Designed by Reader & Swartz Architects. 3. The counter matches the bath/shower surround in this bathroom. 4. 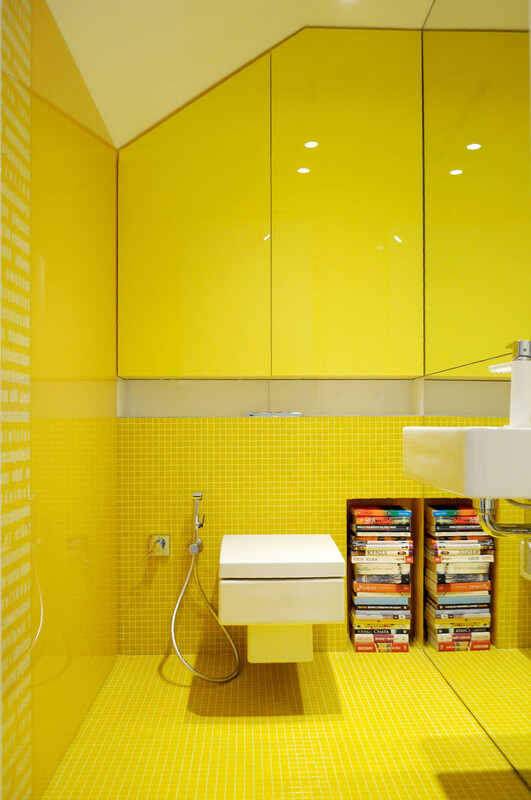 The only thing that’s not yellow in this bathroom, is the ceiling, toilet, sink and shelf. Design and photography by Widawscy Studio Architektury. 5. 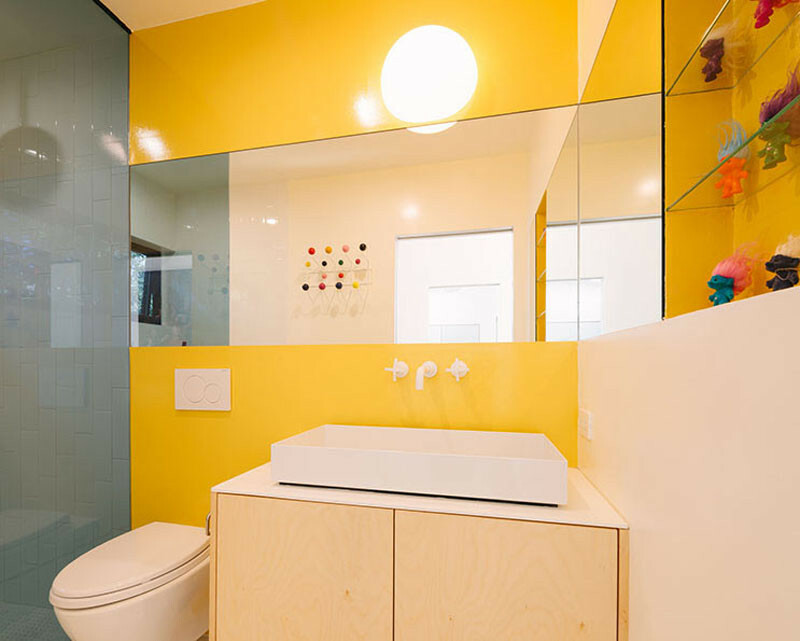 In this bathroom, we see pops of yellow in the floor, faucet, towels, and a small strip of cabinetry. Designed by Van Staeyen Interieur. Photography by Luc Roymans. 6. 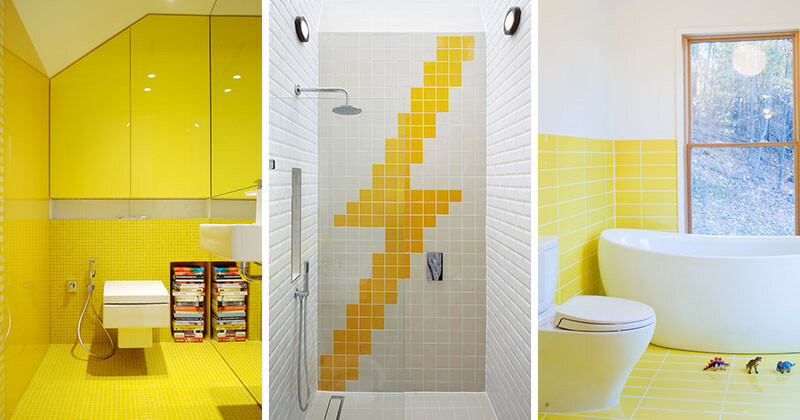 There’s a yellow feature wall in this bathroom, and a touch of yellow in the shelves. Designed by Bittoni Architects. Photography by Taiyo Watanabe. 7. 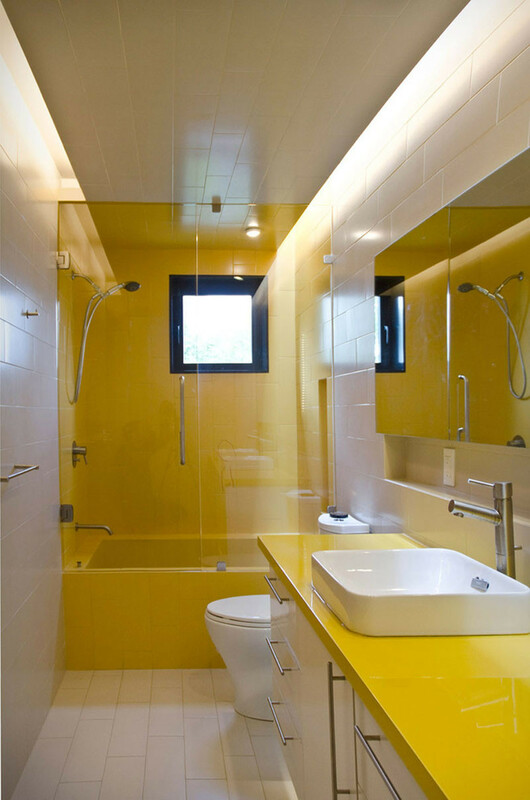 The yellow in this bathroom flows from the vanity area to the shower. 8. 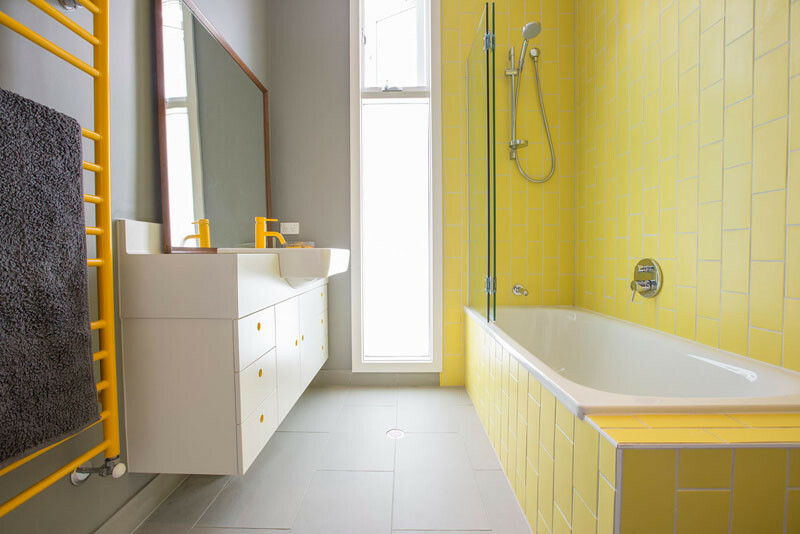 A soft yellow tile surrounds the bath and shower, with a deeper yellow radiator and faucet on the opposing wall. 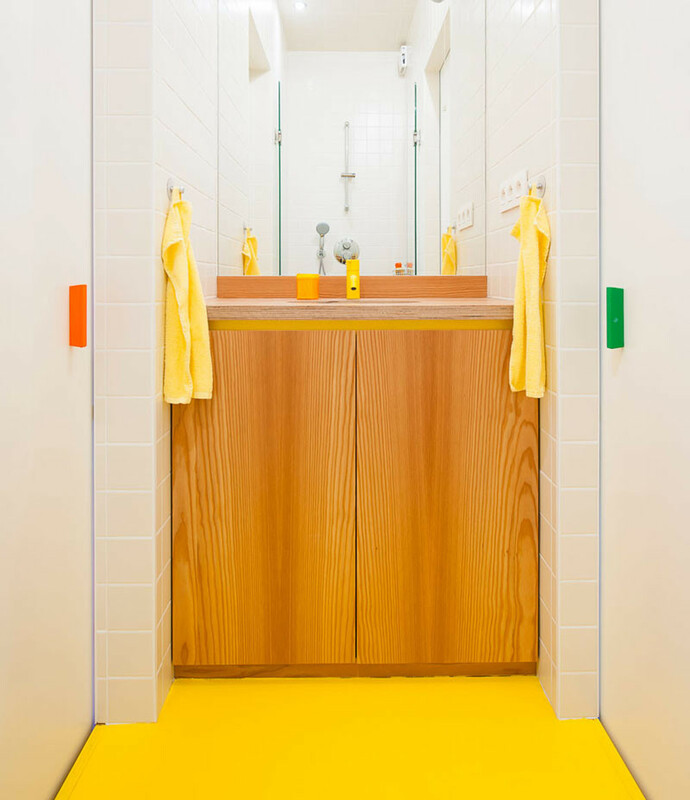 The little finger holes on the cabinetry are also yellow. Designed by Architected. Photography by James Morgan Photography. 9. 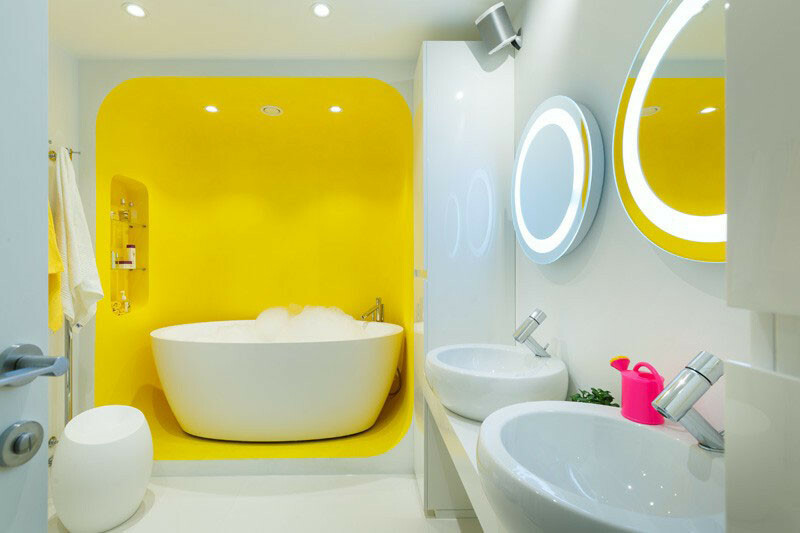 A bold bright yellow bathtub is always eye-catching. 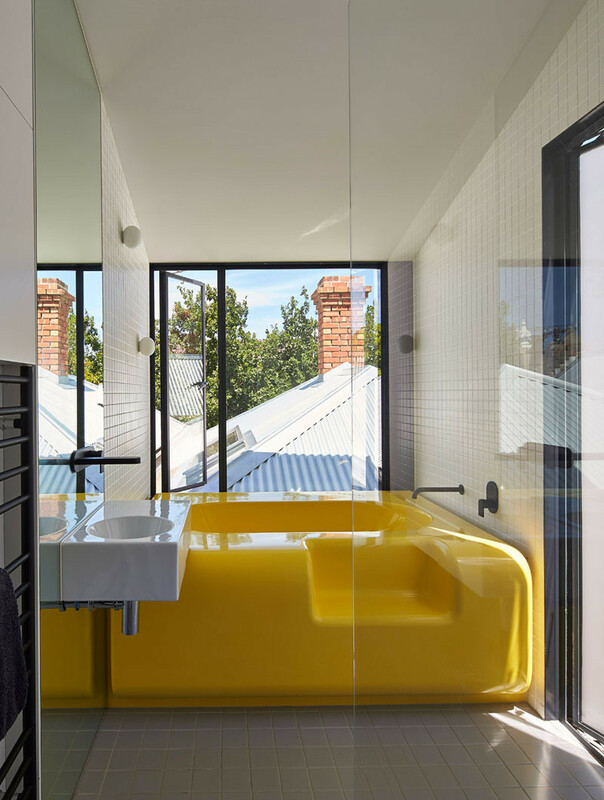 Designed by Austin Maynard Architects. Photography by Peter Bennetts. 10. 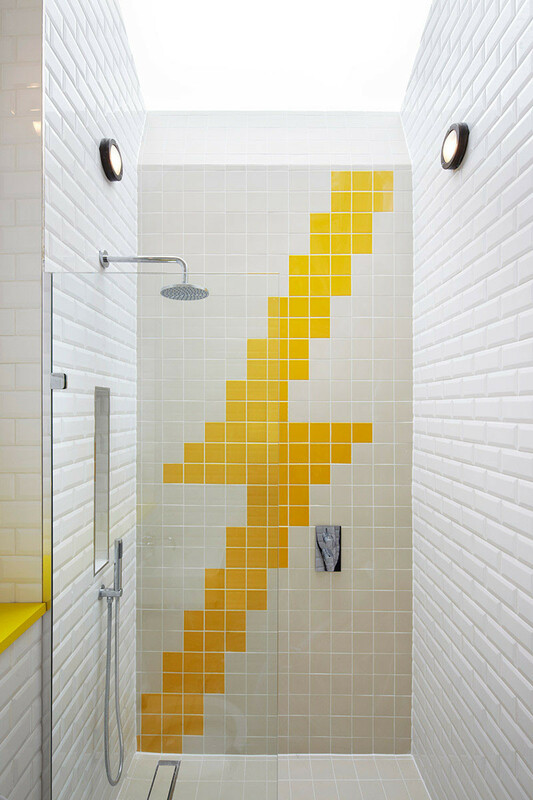 You can always have a bit of fun, like this lightning bolt tile work done in yellow.